Lake County is located north of the San Francisco Bay Area. It is named for Clear Lake, the largest natural lake wholly within California (Lake Tahoe is partially in Nevada). The 2010 census recorded a population of 64,665. The county seat is Lakeport. 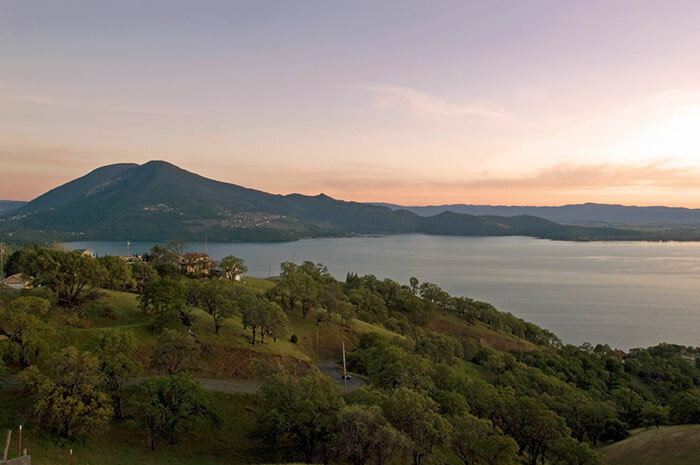 Lake County was created in 1861 from parts of Napa and Mendocino counties. Vineyards were planted in the 1870s, and by the early 20th century, Lake County was producing some of the world's greatest wines. In 1920, Prohibition ended wine production. Most of the vineyards were ripped out and replanted with walnut and pear trees. In the 1960s a few growers began planting vineyards. The area went from fewer than one hundred acres of vineyard in 1965 to over 8,800 acres today. American Viticultural Areas in Lake County are: Benmore Valley, Clear Lake, Guenoc Valley, High Valley, and Red Hills Lake County.